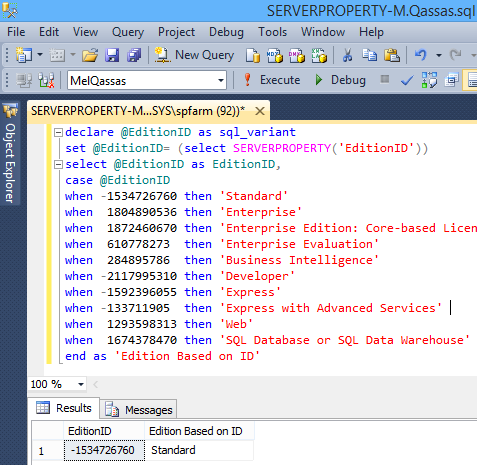 In this blog, we will see how to Get the installed product edition using "SERVERPTOPERTY". 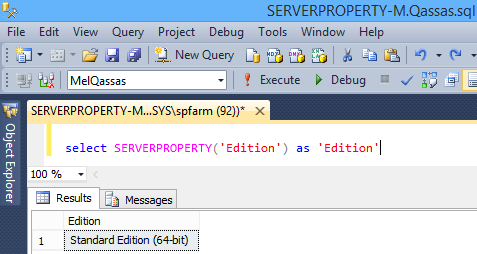 In this blog, we will see how to get the installed product edition using "SERVERPROPERTY". Get the installed Product Edition using "SERVERPROPERTY". Use Edition property to get the installed product edition. Get the installed product edition based on EditionID using "SERVERPROPERTY". 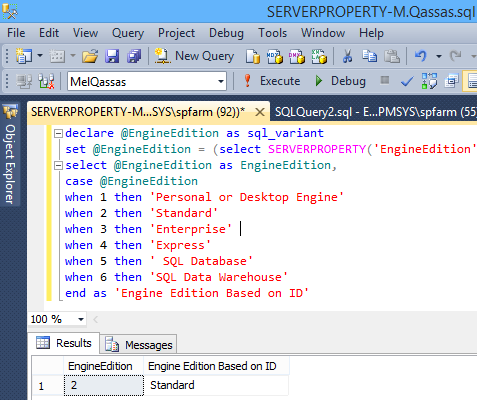 Get the installed product edition based on database engine edition using "SERVERPROPERTY".